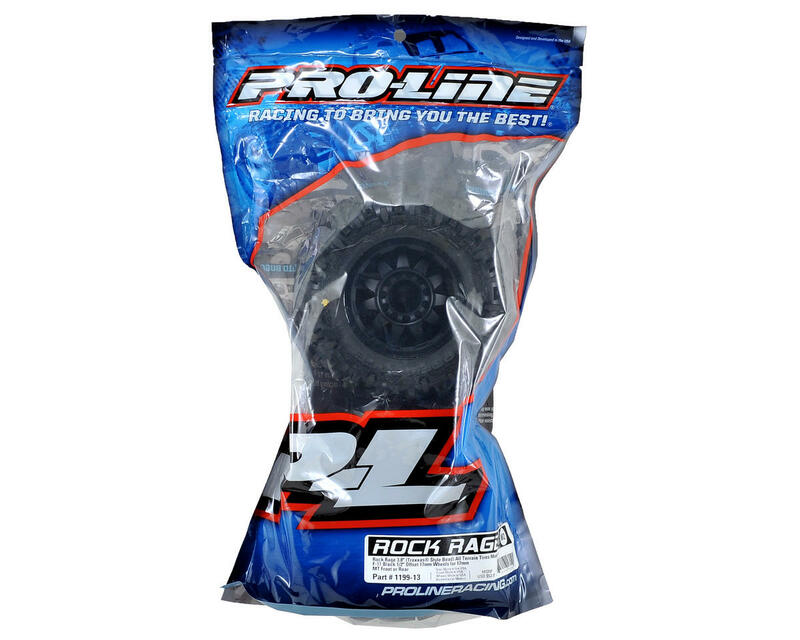 This is a pack of two Pro-Line Rock Rage 3.8" Tires, pre-mounted on F-11 17mm 1/2" Offset MT Wheels. The Rock Rage 3.8” tire is the same overall size as the Stock Traxxas® Canyon tires for the Summit® but the Rock Rage tires provide way more traction! 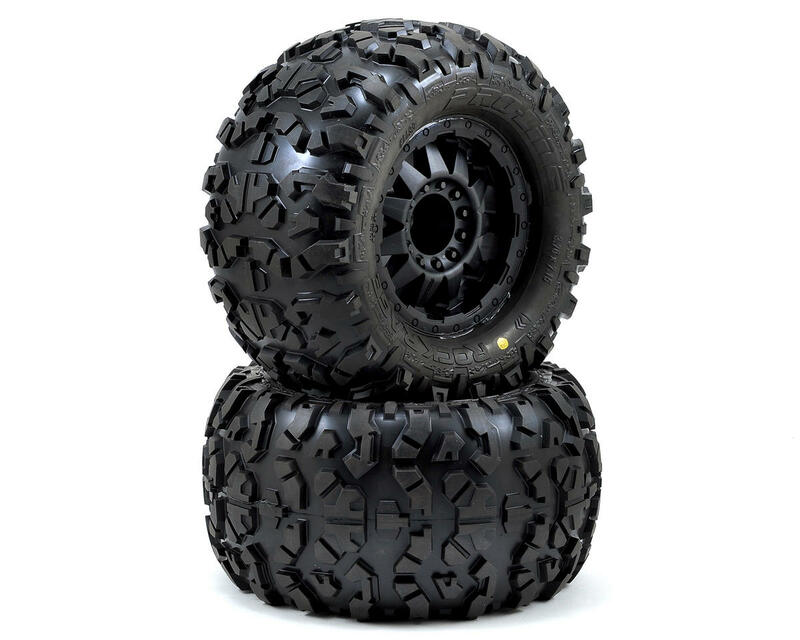 The Rock Rage features a futuristic tire tread design that improves handling and performance on the Street, Dirt, Grass or any terrain you want to destroy. The Rock Rage also features unique sidewall lettering and logo design that stands out and enhances the look of your Truck. The F-11 is a super-tough 11-Spoke wheel designed to mimic the look of full-size Off-Road Trucks! Pro-Line’s F-11 wheel features scale bolt head details and a swept back face that will stand out from the crowd of boring wheels. This 17mm hex wheel is sure to make your truck stand out from the rest, so get some today!